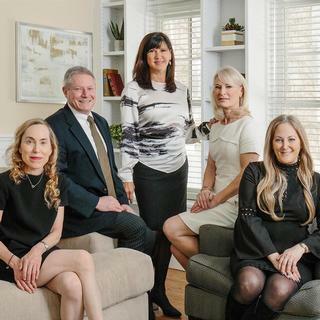 With a combined thirty years of experience, The Kennedy Lynch Team consistently ranks among the top 5 most productive teams in Newton and Brookline. They have a long track record of successfully guiding both buyer and seller clients to achieve their goals, specializing in the preparation and marketing of homes for sale. Clients choose to work with The Kennedy Lynch Team for their exceptional service and expertise. They offer unparalleled attention to detail, analysis of property values and market trends, and their strong base of both loyal and repeat customers is a testament to their ability to consistently satisfy client needs. Their experience and knowledge of the local market continue to keep them among the top-producing teams in the area. They are a powerful mix of precision and dedication to achieving their clients’ goals. The Team works together to keep their clients informed and updated about this fast-paced market. In a highly-competitive sales market, this record-breaking Team stands out for their ethics, market knowledge, and commitment to providing superior service.